AEG Gourmet Collection Low Casserole is rated 5.0 out of 5 by 2. 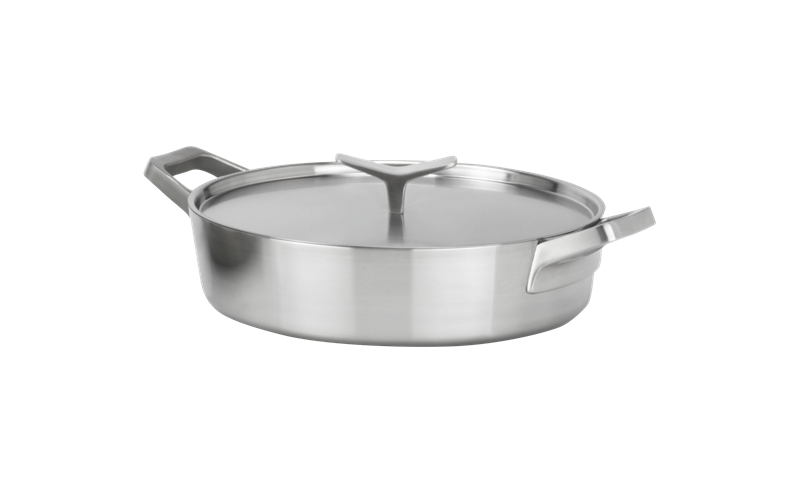 The AEG Gourmet Collection 4.5 litre Low Casserole is a multipurpose pan. Braise, poach and simmer to create flavourful and exciting dishes. The Low Casserole is ideal for creating creamy risotto, casseroles and dishes that need extra space when cooking like poaching individual portions. Rated 5 out of 5 by Lola16 from Stylish and practical. The AEG low casserole pan is the perfect addition to any kitchen. From cooking casseroles, to roasting vegetables, to frying food, it usefulness is endless. The sleek and stylish lines will compliment any kitchen and it cleans up effortlessly.